Posted on January 18, 2019 at 11:21 am. 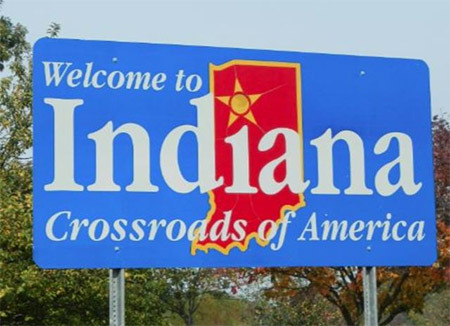 Indiana’s regulations for charity gambling are to undergo some changes aimed at expanding the state’s gaming and wagering industry. Republican Representative Ben Smaltz is sponsoring a bill that seeks to raise prize payouts and allow more non-profit organisations to engage in charity gaming. It also intends to trim down the number of licence types from 11 to six. “Charity gaming allows communities to have funding for a variety of things that otherwise would be government supported — good causes,” said Smaltz. The proposed law would not require changes to be made by organisations that use volunteers to run events such as raffles, bingo, festivals and casino nights. A recent survey by the Indiana Gaming Commission discovered that 63 percent of organisations prefer paying workers through other means, while 43 percent want to pay them directly. Others also preferred free meals, reduced membership fees and tips as alternative forms of compensation. The finance officer for the Waynedale American Legion Post 241, Steve Lantz, said that although charity gambling events keep the veterans’ club afloat, it was becoming increasingly difficult to find volunteer workers.